Sorry, Smok Vape Pen Tank has been discontinued. The Smok Vape Pen Tank has a 2mL capacity and is 22mm wide. This tank is great for low wattage or pen style devices. 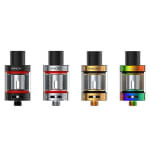 The Smok Vape Pen Tank is a top fill tank with bottom airflow and the 0.25 Ω pre-installed and spare coils will give you a large vapor production while not overwhelming newer vapers. 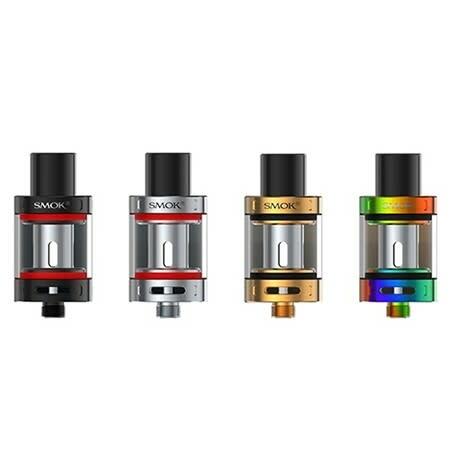 The Smok Vape Pen Tank is the newest tank from the Smok company. This 22mm tank has a 2mL capacity and stands at 48mm tall. This tank is great for low wattage or pen style devices but it will still have a substantial vapor output. The Smok Vape Pen Tank is a top fill tank with bottom airflow control allowing you to adjust the draw while keeping it easy to refill on the go. The 0.25 Ω pre-installed and spare coils will give you a large vapor production while not overwhelming newer vapers. Replacement coils for the Smok Vape Pen Tank are available here. If you're looking for an inexpensive tank option, then this is the one for you. A low-cost version of the SMOK Cloud Beast.